Last Friday the world witnessed something the likes of which it had never seen before. For some unknown reason, gamers were more rabidly eager to get their hands on Nintendo’s limited edition Majora’s Mask New 3DS XL than they have been to get any other system. Initial preorders sold out within a half hour of being opened which left everyone not lucky enough to type their credit card information fast enough with only one hope: camping out at any retailers that would have extra copies and hoping that they could get one. I’ve seen a few news sites address this madness by putting the blame on Nintendo. Now, I’m not saying that they are blameless. After all, they are the company responsible for actually having the systems produced. However, it is completely within reason for Nintendo to have underestimated the demand for this item because it’s outrageous. There is nothing about the system itself that should have created as high of a demand as it did. It’s not groundbreaking. 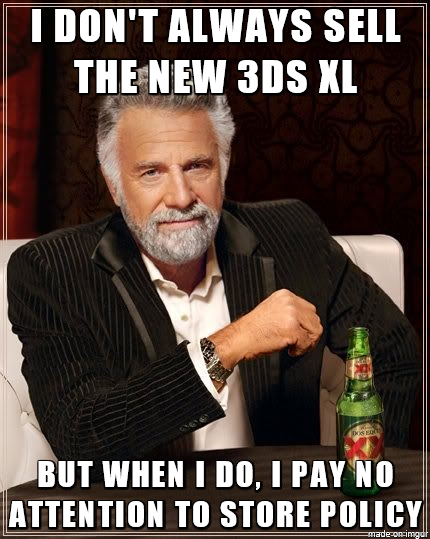 It’s the same 3DS XL system we’ve had for years with a few minor upgrades. There were no exclusive bonuses to having the Majora’s Mask edition over the standard editions other than the cool paint job. 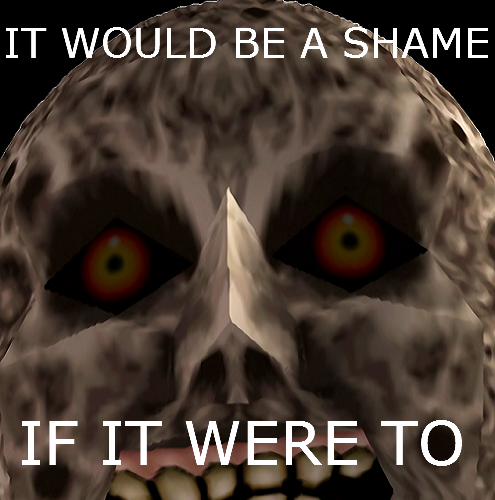 And let’s be fair: Majora’s Mask was not a popular enough game in its own right to warrant such insanity. Ocarina of Time is praised time and again as being one of the best, if not the best, Legend of Zelda games ever created. Yet, while Majora’s Mask is technically a sequel, it gets little mention other than as a footnote at the bottom of OoT‘s epic story. So it’s completely logical that Nintendo decided not to produce an insane quantity of a system that was 90% the same as what they had already released and was designed after a game that people like, not love. Yet, for reasons that will likely remain as mysterious as the number of licks needed to reach the Tootsie Roll center of a Tootsie Pop, the demand for this particular version of the New Nintendo 3DS system far exceeded the supply. It’s worth noting that, since the release, I have found countless posts on various sites regarding manufacturing issues with the limited edition system specifically, not the standard ones. From stiff circle pads to broken ones and nonfunctioning touch screens, it seems that something was done differently with this one particular iteration of the system. My guess is that, seeing that some sort of mass hysteria was forming on the horizon, Nintendo decided to mass produce as many as they possibly could at the last minute, foregoing some of its standard quality control practices. That being said, I, like many others, spent the early morning hours of last Friday freezing my appendages off outside of a local Target. And, also like many others, I had no idea of the utter fiasco that was about to strike. Best Buy was already getting plenty of flak for canceling legitimate preorders seemingly at random when they apparently discovered that they had oversold their stock. Sure they were offering a $50 gift card to those who got the short end of things, but that didn’t really mean much to gamers who were eager to get this rare piece of hardware. Target couldn’t do any worse than that, could they? 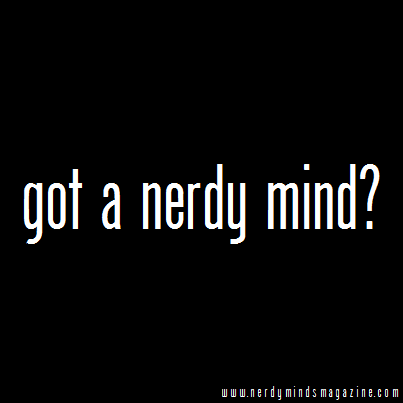 Oh yes, they could. To start off the fun, Target briefly reopened preorders through their website for the system on Friday morning. This would have been great were it not immediately followed by a wave of preorder cancellations. Who dropped the ball on that one we may never know, but at least the in-store purchases were straightforward, right? Wrong. I had called the two Target stores nearest my house the day before. One would have two and the other would have three. Much to my surprise, the one that had three offered to hold one – I just had to call back the next morning to confirm that I was coming. Still, just to be safe I went to the other store, the one with two, in case something fell through. This turned out to be a good move as I was later told that the employee I had spoken to “didn’t know what he was talking about” and that there was never any chance of them holding a system. Still, I was second in line at the Duluth, GA store and breathed easier knowing I was safe. The line outside grew, and we watched employees arrive at the store one by one, using a walkie talkie to call for a manager to let them in. Finally it was opening time, and an employee let us in. We rushed back to electronics, and as we approached, the stampede of gamers game to a halt as we saw something horrendous. One of the store’s employees had already checked out with one of the two systems and was grinning as he took his brand new Majora’s Mask New Nintendo 3DS away from the register. Several of us stood there awe-struck at what had just happened, and it took me a moment to process. I instantly pulled out my phone and began calling other stores, anywhere within half an hour’s drive. The store I’d called the day before had received five, not three, but they were already gone. No one had them – every store had been swamped as soon as the doors had opened. I was unhappy to say the least, but sometimes retailers make poor decisions. At least it was an isolated incident, right? Wrong again. I’ve taken the time to compile just a few of the horror stories experienced at various Target stores on launch day. Strangely, while scrolling through Target’s wall posts in the Facebook app it appears that most of the posts from Friday are missing altogether. Please also note that these are Target-related incidents only and say nothing of the other retailers and their questionable business practices (one Fry’s Electronics store allowed one person to buy all four of the systems they received, and one Best Buy customer had their order canceled after release day, thus disqualifying them from receiving the $50 gift card). One customer actually saw the system on shelves on February 11 and asked to buy it for his son only to be told that the item couldn’t be sold despite being on the shelf. They promised to hold the item since they couldn’t sell it and instructed the man to come back on the 13th. Not only did they not hold the item, but they also refused to let him speak to any manager regarding the incident, forcing the man to actually contact another store to acquire the information. This wasn’t an isolated incident as other customers were told that they could not be given their local district manager’s contact information due to “security reasons”. Another customer in Minnesota, where temperatures were as low as -2 F, waited with a crowd of people for hours only to have the store’s staff open a different set of doors for a small crowd that had just arrived, waiting to let those that had been at the store from the start in until after the others had entered. A customer in Monroe, NC posted to Target’s Facebook that he was second in line to get a system for his son. He was told that there were two in the store, but after the crowd made its way back to electronics, the store manager “Alex” had already pulled the two systems from the shelf and proceeded to call a customer from the back of the line to come purchase both. As if that weren’t bad enough, he goes on to explain that the customer that bought the systems owns and operates a small video game and toy store in Pineville, NC. In addition, several customers are learning the hard way that the “Contact Us” function on Target’s web site is outsourced. Anyone who contacted the store through the link received a generic reply like the one below in broken English with poor grammar that clearly showed that no one had ever bothered to read the message they were sent in the first place. The following message was received after a complaint was made regarding selling the system to an employee before customers were allowed in the store. 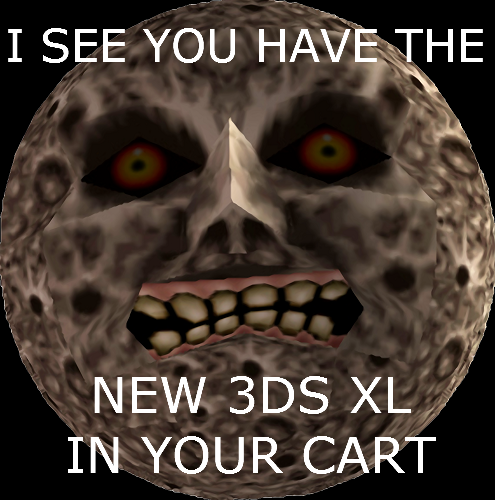 I’m sorry to hear that you’re unable to find the 3DS XL at Target store. We work hard to make sure we have the products you want and need on our shelves. Sometimes sales of a particular merchandise may exceed our expectations, even when our buyers do their best to anticipate guest interest for an merchandise. Whenever quantities of certain advertised merchandise are limited , it’s called our in our weekly ad. I’d been doing more of my shopping at Target stores over the past year due to many products or variations being exclusive to the chain, but after this fiasco I’ll be taking my business elsewhere. And I hope that major companies like Nintendo will do the same.